Set in the heart of rural Oxfordshire, yet close to Oxford itself, is The Aunties' Old School Nursery - a consistently 'outstanding' children's day nursery and pre-school that is inspired, loving and family-run. The Aunties' Old School Nursery was established in Stanton St John in 1989 as a loving, family-run 'outdoors' nature nursery (the original forerunner of the current Forest School movement). The Aunties' unique ethos and loving, conscientious family approach have a very strong emphasis on outdoors' life and learning. The Aunties are renowned for doing little things with great love, providing inspired, loving care and first-class education for pre-school children, toddlers, and babies in two identical, attractive, convenient settings in Stanton St John and Wheatley. Both settings are idyllic for young children and yet extremely conveniently situated for parents (being very close to the M40 and other arterial routes). 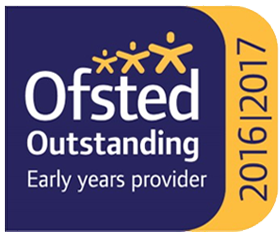 The Aunties' Old School Nursery have been consistently awarded 'Outstanding' in ALL categories for 29 years (latest in February 2017, Stanton St John). In November 2017, The Aunties were named PLATINUM EMPLOYER OF THE YEAR by Investors in People (having been one of the first organizations in the world to be awarded Platinum Investors in People). The Aunties out-ranked 14,000 organizations across 75 countries worldwide to achieve this prestigious award. The Aunties deem it a priority to invest in 'big people' to inspire them to invest in our precious 'little people' to ensure the very best outcomes for them. The Aunties are renowned for their absolute integrity to the children, so we proactively invite the rigorous scrutiny of independent accreditation processes. The Aunties have consistently achieved flying colours in THREE challenging, internationally well-regarded quality assurance schemes. These are: the coveted ISO 9001 Certification (international benchmark for quality management systems), achieved by 5% of UK businesses; OHSAS 18001 Certification (benchmark for the highest standards in Health and Safety); and Investors in People - PLATINUM! Investors in People is the globally-recognised management Standard adopted in 75 countries. Accreditation against the Investors in People Standard is the sign of an exceptional employer, and a commitment to success and excellence through people. Investors in People accreditation is awarded as a mark of distinction to organizations that are able to meet rigorous standards. The exceedingly rare and coveted PLATINUM Investors in People award for leadership and management is achieved by only 0.01% of organizations globally. We regard this as vitally important, as our care of our staff members' well-being and training in every respect, very directly impacts upon the well-being of all our children. The Aunties' Old School Nursery has also been presented with the "Excellence in Oxfordshire Award". In short, The Aunties' Old School Nursery is exceptional, unique and highly effective at ensuring that outcomes for children are excellent. The education that the Aunties provide for pre-schoolers is considered to be of such high quality that the children make exceptional progress towards Early Learning Goals. The Aunties' childcare practice is considered to be "exemplary". To find out more about us and how we, The Aunties, can provide loving care and outstanding education for your child, please select a point of interest from the menu. Please do feel free to get in touch! We, The Aunties, very much look forward to welcoming you to view our unique, loving family-run nursery.